When the Grammy Awards kicked off Sunday, the night was full of promise, but ultimately disappointed. 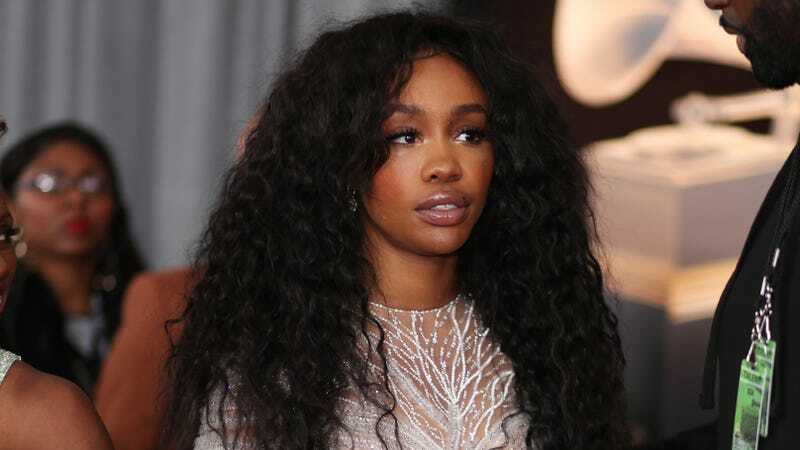 SZA was nominated for five awards, and didn’t win any. Lorde, the only woman nominated for Album of the Year, lost, and reportedly wasn’t invited to perform onstage solo. According to the Recording Academy head Neil Portnow, the less-than-satisfactory results were somehow women’s fault, rather than the direct result of how members of the Academy voted and a reflection of their tastes and interests! I don’t know, just an idea—if you don’t have experience with gender inequality, try... talking to women about it? Or putting more women and people of color in positions of power in your organization? Crazy, I know. Oh but if you can’t, then yeah, sure, go ahead and work on making that welcome mat as obvious as possible, whatever that means. We&apos;re Live Blogging the 2018 Grammy Awards!